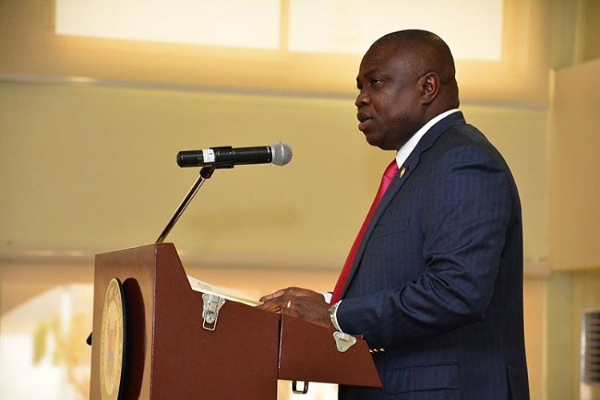 Ambode promises befitting NYSC orientation camp – Royal Times of Nigeria. The Lagos State Government on Friday promised to build a befitting orientation camp for the National Youth Service Corps (NYSC). Gov. Akinwunmi Ambode said this at the swearing-in of the 2017 Batch ‘A’ Stream 2 corps members in Lagos. The event held at the NYSC temporary orientation camp, Lagos. The governor who was represented by the state Commissioner for Special Duties and Intergovernmental Relations, Mr Seye Badejo said: “You will agree with me that there are a whole lot of projects in the state currently jostling for attention. “Things have to be properly put in place; we have to get appropriate allocation. “It is not like we do not hold the scheme in high esteem; the issue (orientation camp) is currently receiving attention. “We can assure you that it is in our front burner and, with time, we will do it,’’. Ambode also said that the NYSC scheme remained relevant and would continue to receive the support of the state government because all hands must be on deck to achieve the aims of the founding fathers of the scheme.